Berneice Ivy Christianson was born on December 29, 1918 in Winnipeg, Manitoba. 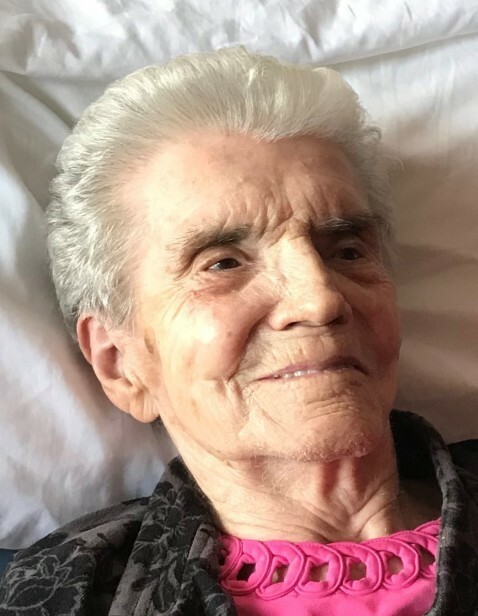 On the evening of February 6, 2019 she left this earth, peacefully passing into the presence of her Lord and Saviour Jesus Christ. As a child, Berneice moved with her family to Alberta. The family ultimately decided to settle in Saskatchewan, where Berneice started her education at a country school. She became a Christian as a young adult. When Berneice was 17 years old she ventured out to cook on the Hetland farm in Naicam. It was there she met her husband, Raymond who was working on the farm as a mechanic. In 1937, Raymond and Berneice married. They were blessed with two children, a daughter, Beulah in 1938 and son, Ralph in 1940. The family lived in Spalding for many years. Berneice helped neighbors during harvest, was active in her church community and supported Raymond in his business, Ray's Auto Service. When their children left home, the couple moved to Saskatoon. Berneice was a devoted mother and grandmother. In the 1960's, Raymond and Berneice moved to Calgary, following their adult children to Alberta. Summer vacations were often spent in returning to Saskatchewan to visit relatives, attend family gatherings, and reconnect with friends. The couple invested in the lives of their two grandchildren, patiently teaching life skills, and were an integral part of extended family life. Raymond and Berneice were frugal but not stingy, particularly when it came to helping others. Berneice enjoyed finding a bargain and sharing her finds with others. She was an industrious homemaker, organized, tidy, and made delicious cinnamon buns. Raymond and Berneice enjoyed 57 wonderful years together before Raymond moved to his heavenly home in 1993. Berneice was a widow for 25 years and resided at Wentworth Manor for the last 9 years, recently celebrating her 100th birthday. As a family we wish to especially thank the staff of Wentworth and Dr's Darrel and Heather Eliason for their attentive and compassionate care. She leaves to mourn her beloved family, Beulah (Alister), Ralph (Megan) and her grandchildren.